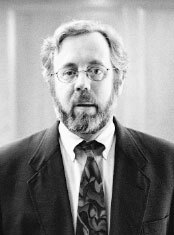 Scherr is a professor of law at Franklin Pierce Law Center at Concord, New Hampshire, and is a nationally recognized authority on forensic DNA evidence. He has served as the lead attorney in numerous pretrial hearings in homicide, robbery, and sexual assault cases to determine the admissibility of forensic DNA evidence. In 1992 he was trial and appellate counsel in a homicide case (State v. Vendebogart) that resulted in the New Hampshire Supreme Court becoming one of the few state Supreme Courts to find forensic DNA evidence inadmissible (pending further technological developments). In addition to his work involving forensic DNA evidence, Professor Scherr has extensive experience as a trial and appellate lawyer for more than 20 years. He has handled over 40 homicide cases and has substantial trial experience as a criminal defense lawyer in a wide variety of cases.